Modern Event Rental is proud to offer nationwide shipping, allowing us to provide our gorgeous event rentals to clients across the country. Although we’re located near Chicago, we aren’t limited to supplying our event rentals to events exclusively in the Midwest. Whether you’re planning an event in nearby Milwaukee or Indianapolis, or somewhere a bit further away, like Orlando or Denver, Modern Event Rental has you covered! We can ship anywhere in the U.S., and guarantee our event rentals will be shipped to you in a timely manner. 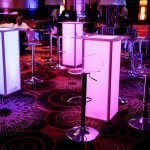 As a full-service event rental and design company, we specialize in providing event furniture for every type of special event. 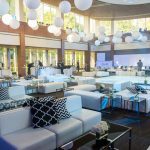 Whether you need chandelier rentals for a gala, furniture rentals for a corporate event, or LED furniture for a mitzvah, Modern Event Rental is your go-to event rental company. We have years of experience providing event rentals for every type of special event imaginable, all across the country. We also have an in-house fabrication studio where we design and build custom event rentals for our clients. So, if you don’t find what you’re looking for in our current inventory, we’ll create it for you. 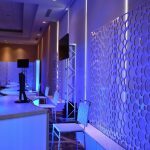 Our knowledgeable staff will work to bring your vision to life, ensuring the custom piece matches your design aesthetic and existing event decor. 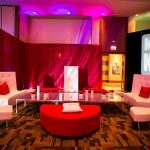 Want to wow guests with unique and functional event decor? Contact Modern Event Rental today to start choosing the right event furniture for your upcoming event!